In this lesson, we will learn how to compute differentials of a function and use that to solve problems. Find the change in as varies from 8 to 8.4. 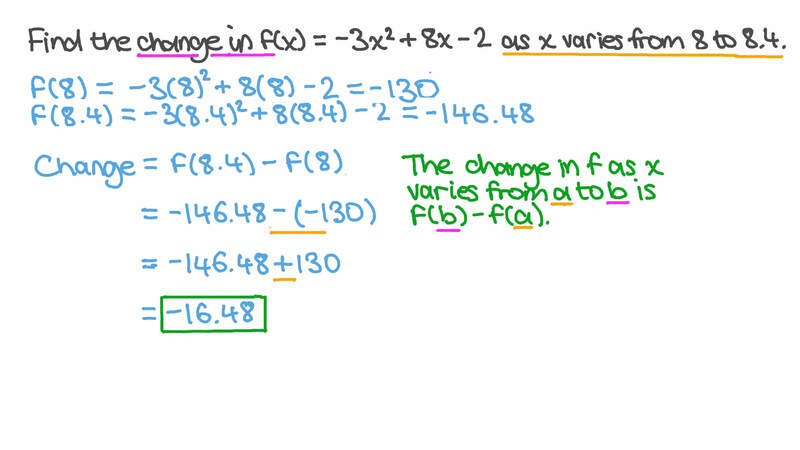 Find the change in as varies from to .